Are You All In Yet..
There’s an expression in the game of poker called, “Going all in.” And it means you’re betting everything you’ve got on your hand. This is the showdown, if you win then you’ve got a nice pile of money. If you lose, you’re out. 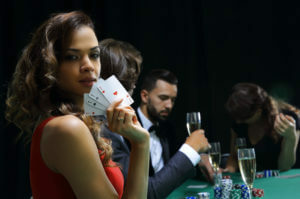 In cards you might win, you might lose and generally it doesn’t matter too much in the grand scheme of things, (If you’re not betting your life savings or your first born). But in your life, ‘going all in’ can be the absolute difference between extreme success and dismal failure. It’s more of a mindset than a money risk, although it can certainly be both. If you’re working a job while you build your IM business for instance, I certainly wouldn’t recommend you quit your job until your IM income equals the income you get from your job, give or take. But I have known plenty of people who have.. But your mindset can’t be anything BUT ‘going all in.’ You’ve got to live and breathe your success before you achieve it. You’ve got to know you can do it, or at least have an extremely large suspicion that it’s totally and utterly possible. You’ve got to commit to your new venture like you’d commit to raising a child. Sorry, but half-hearted feeble effort simply won’t cut it. Think of two guys – Sam and Max. Sam dabbles in IM for 10 years, working on his business when he feels like it. Max lives, breathes and eats IM for 10 years. Who’s retiring in 10 years? There’s no question, it’s going to be Max. It’s time to make a decision – are you all in? Are you going to get your mindset in the right place to start doing what you’ve got to do everyday to make your IM business not just a hobby, but a real actual BUSINESS? Because it’s your call.